With a New Year comes new VEGINNINGS. January is the month to take on new challenges, and one that has especially caught our attention this year is Veganuary. If you are a regular social media user or you follow many health and fitness influencers, in the month of January you have probably been bombarded with Instagram-stories of vegan recipes and #Veganuary all over the media. Or you might have simply just heard of the term without being sure what it meant. So what is Veganuary? Veganuary is a charity campaign that encourages individuals to try a vegan diet – a plant-based diet excluding all animal-derived foods – for the month of January, and throughout the rest of the year. When it was founded in 2014, only 3,300 people signed up for the challenge. Fast forward to 2018, and 168,500 people took on the Veganuary pledge. Improving health – we are told all the time that we should be reducing our red meat consumption and increasing our fibre intakes. Studies have shown that by going vegan, we can significantly lower our blood cholesterol and decrease our risk of developing heart disease1. This is only one of many health benefits associated with a eating a more plant-based diet. I’ve missed out on Veganuary, what do I do? If you weren’t able to participate in Veganuary, do not fret! Despite the name, Veganuary is not just limited to the first month of the year so you can take part in the challenge whenever you’d like. The main aim of the campaign is to inspire people to try out plant-based foods and provide them with all the knowledge and support to encourage a long-term commitment to the lifestyle. 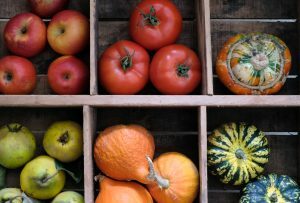 For those of you who can’t quite face the challenge of going vegan, taking some steps to reduce your meat consumption and increase intakes of fibrous plant-based foods will likely benefit the environment and your health in some way – why not try to implement something like meat-free Mondays into your week? A well known high street bakery launched their vegan sausage rolls that blew up in the media overnight. They were so popular that some stores sold out by 9am. Many other companies have launched similar products following their success. Plant-Based Parliament –this year, Veganuary members not only challenged the public, but also members of parliament to switch over to plant-based alternatives for the month. And in doing so, they hoped to encourage MPs to start think about plant-based diets within any strategy on climate change.